Obama and his campaign have gone all-in in running on what they have spun as the successful turnaround of General Motors (GM), which received nearly $50 billion in taxpayer bailout money. The Obama campaign wants to use GM to prove not only Obama’s managerial skills and instincts but to contrast Obama with Romney, whose past successes in the private sector give him a considerable advantage over Obama when it comes to economic issues. Since Romney did not support the GM bailout, Obama’s team is betting on GM to neutralize the advantage Romney has over Obama on the economy. 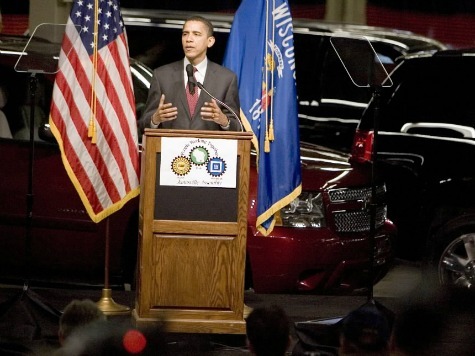 For this reason, Obama’s “Betting on America” campaign theme is a not-so-subtle reference to GM. But as executive turmoil within GM again bubbled to the surface this week, the Obama administration’s record on GM should be examined more closely. And on examination, they have continually over-promising and under-delivering since the company relaunched in November of 2010 after receiving billions in taxpayer dollars. And because of the way GM has been mismanaged, there has been constant turmoil and turnover within the top ranks of the company since it went public. But Obama’s administration and GM’s CEO Dan Ackerson have largely been absolved by the press of any blame they deserve. Since GM declared bankruptcy in 2009 and was bailed out by the Obama administration, Obama and GM executives have publicly set business benchmarks — such as market share — they have failed to reach while publicly pumping up GM’s stock and prospects. When GM’s stock debuted on November 18, 2010 at $33 a share, Obama said the “tough decisions” that led to the bailout were beginning to pay off, according to a CNN report. “American taxpayers are now in a position to recover more than my administration invested in GM,” Obama said at a press conference then. 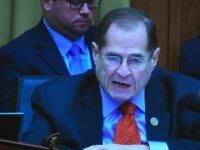 Steven Rattner, who headed the Presidential Task Force on the Auto Industry that managed the bailout, pumped up GM in January of 2011, saying, “recent progress at GM gives reason for optimism that it may be possible for taxpayers to get every penny back,” according to Investor’s Business Daily (IBD). In June of 2011, Rattner, whose financial misdeeds prompted authorities to seek to ban him from trading securities for life, continued praising GM’s prospects. GM’s turnaround plan assumed, as its starting point, a market share of at least 19 percent. “The public plan is 19 percent and change. That is what everything is being based on,” GM board member Stephen Girsky said during a panel discussion at a conference at Columbia Business School in October of 2009. In January of 2010, former GM CEO Ed Whitacre promised taxpayers would make a profit on the $50 billion bailout. These comments were consistent with Obama’s. But after all the rosy talk and rhetoric, GM had to deal with hard numbers. Akerson continued his rosy forecasts when he said that in a few years, “I think people will go, ‘Wow, I’m glad we invested in GM.’ I’m talking about the American taxpayer,” Akerson said, according to USA Today. In January 2012, GM’s market share declined to 18.4 percent, and this time Akerson changed gears and said this had been his plan all along, which contradicts what had been said by GM board members in 2009. “I like profitability more than I do market share. We’re a mass producer and scale matters to us, but obviously we’ll look for margin and profitability going into 2012,” Akerson said, according to Reuters. Even in the US market that now provides the lion’s share of its profit, GM is losing ground to its competition. According to GM’s most recent earnings report, North American market share has also fallen for the last three quarters, now standing at 16.4%. When GM’s stock price continued to decline, Ackerson, in June of 2012, could not change gears anymore and had to apologize for GM’s tanking stock price. “I regret the stock has not done well post-IPO. I assure you we’re all dedicated to improving that over the medium to long term,” Akerson said. Just two months earlier, Akerson had said he hoped GM would return to investment-grade within the year. “There are things that will happen over the next year or so that will drive that decision,” Akerson said in an interview at Bloomberg headquarters in May. And in the meantime, GM’s market share has been eroding. In fact, GM’s overall market share to date in 2012 is 18.1%, according to the Wall Street Journal. The Treasury still owns roughly 30% of GM, and since GM’s shares are worth less than 2/3 of their original value, it is going to be extremely difficult for taxpayers to recover what they put in — against their will, in many cases — to GM. Even worse, the way GM has been managed reflects poorly on the Obama administration and raises questions about his ability to manage — let alone turnaround — America’s economy. When former GM CEO Whitacre abruptly resigned, Akerson, who got on GM’s board because of his connection to those in the Treasury Department, abruptly — and surprisingly — became the company’s CEO. If Ed Whitacre told the board earlier this year that he was not going to stick around, why did the GM board wait until now to make a quick selection of Akerson as CEO? Shouldn’t the board have moved sooner? Wouldn’t that have made Wall Street more comfortable heading into a GM IPO? Instead, for the second time in the last nine months a GM CEO is suddenly stepping down. LeBeau also observed two years ago, in something that could have written this week, that it had been “common to hear people blast the old GM board of directors as being short-sighted, poorly run, and an example of how a board of directors should NOT function,” but the current board may be even worse. “In short, many people, including investors, are wondering how decisions are being made at GM and whether this company is so intent on getting an IPO done that it’s dropped the ball when it comes to corporate governance,” LeBeau asserted. And yet, GM still remains a central part of Obama’s campaign strategy. And, as TPM notes, Obama has referenced GM many times on the stump. GM’s decline suggests the debate going forward should not be about how successfully Obama turned GM around — he didn’t — but about why GM’s CEO Akerson and Obama and those in his administration have not been called out and held to account for their mismanagement of taxpayer money that was forcibly invested in what seems like a company more than on its way to more decline.